Do you have that competitive spirit when it comes to fishing? Want to put your skills to the test against other anglers? Well there are numerous bass tournament trails available in Ontario – home to some of the best bass fishing in the world. Ontario tournament trails range from local bass clubs hosting small tournaments on local waters to pro level circuits on some of Ontario’s best big water fisheries. There are lots of tournaments options for both for boaters and non-boaters alike. Here’s a listing of the various trails available. B.A.S.S. / Ontario BASS Nation: Grass roots tournament fishing at its best. Presently there are 24 clubs across Ontario that each hold a series of smaller tournaments in their local areas. Generally, boaters are paired by random draw with non-boaters for the day. A fantastic way to get into tournament fishing, learn new skills and techniques and connect with anglers looking to do the same. Full disclosure – I serve as president for a local club (Forest City Bassmasters) and can honestly say that I have learned a ton from other club members and from meeting guest speakers. As you develop you can test your skills in inter-club competitions and try to earn a berth with Team Ontario at the annual Ontario BASS Nation (OBN) Hank Gibson Qualifier. 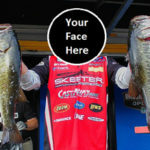 Ontario Team members then move on to the next levels and if you keep winning, you can end up at the Bassmaster Classic. Ottawa Valley South Bassmasters club member Charles Sim did just that in 2016, finishing 31st at the classic at Grand Lake O’ the Cherokees, Tulsa, Oklahoma. Fishing League Worldwide Canada: FLW Canada hosts three qualifying events and an FLW Canadian Championship in eastern Ontario (Kawartha Lakes through to St. Lawrence River areas). Under the FLW umbrella is also the Shootout Fishing League (SFL) which runs a series of six tournaments in the Kingston to Ottawa area of Ontario. The Canadian Bass Anglers Federation: CBAF has 9 clubs across Ontario and is affiliated with both FLW and The Bass Federation (TBF) (Eastern Division). Local clubs such as these are again a great way to start your journey into tournament fishing. Renegade Bass Tour: The Renegade Bass Tour runs a series of high caliber pro level tournaments in the Ottawa/Rideau Lakes/St. Lawrence River area. The pro tour runs as four qualifiers (and a pro/am) and a championship event. The tour boast’s Canada’s largest and best bonus rewards and contingency programs. They also host a large open tournament and a 150 HP and under series. Winning teams can also qualify to compete in the B.A.S.S. Team Championships (which can lead to a berth at the Bassmaster Classic). If you want to compete against some of the big names in Canadian fishing this is one of the tours to do it. Competitive Sport Fishing League (CSFL): The CSFL hosts the Pro Bass Tour and Bassmania Tour Divisions (Eastern, Central, Western and BM100 (under 150 HP) tours). Payouts for the Pro Bass Tour are up to $20K for the Canadian Open. Bassmania divisions hold 4 events each, along with special events and a national championships. Locations range from Rice Lake, the Kawartha Lakes, Lake Scugog, Lake Simcoe and Georgian Bay. Berkley B1 Series: Originally, the Berkley B1 Canadian Bass Open was a yearly high end event held on Lake St. Francis (St. Lawrence River). It has been attracting tournament anglers from 6 provinces and the USA since 2009. It has expanded for the 2017 season to three stand-alone tournaments stops (Belleville (Bay of Quinte), Port Colborne (Lake Erie) and Lake St. Francis) and a team-of-the-year points chase worth $20K! 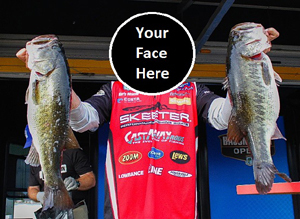 Now named the Berkley B1 Championship Tour, it looks to be a great place to test your skills. Canadian Tire Open Series: This series is comprised of two stand-alone events – The Mitchell’s Bay Canadian Tire Open (Lake St. Clair) and The Lake Erie Canadian Tire Open (out of upper Niagara). Tri-Bay Bass Association: The TBBA hosts three qualifier tournaments and an invitational classic championship at spots such as Lake Erie (Long Point, Rondeau Bay), Lake St. Clair and the Sarnia River. Professionally run by Cindy and Dean Franklin, this tournament series has been testing the skills of southern Ontario anglers since 2007. Kenora Bass International: This large field three day event of 125+ boats takes place yearly on the second weekend in August on the Lake of the Woods. It has a $30K top prize and winning weights are generally in the 45-50 lbs range. Largemouth Bass, Smallmouth Bass, Tournaments.